You can find a lot more by using the search tool on the website, but that should get you started. After years of research, we now know that injuries to the neck can mimic symptoms seen in concussion. 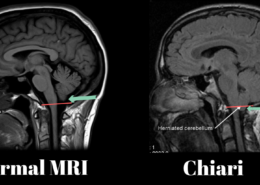 This is a big reason why patients with chronic whiplash look really similar to patients with post-concussion syndrome when you’re just looking at symptoms alone [source]. 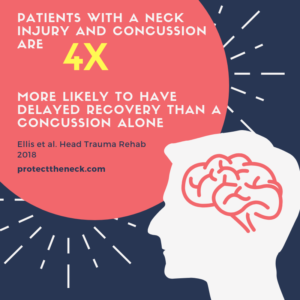 However, many clinicians have suspected that when patients have both a neck injury and a brain injury, that it can take longer for the patient to recover and return to sport. A study published in the Journal of Head Trauma Rehabilitation is helping to shed light on this concept. 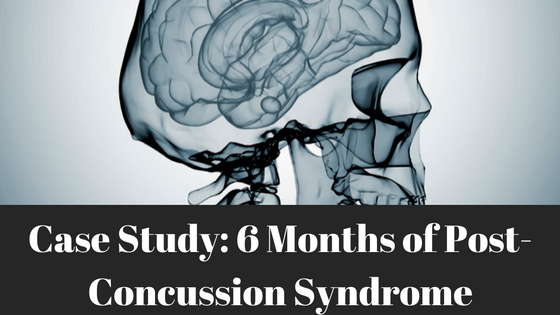 THe study looked at patients in a multidisciplinary pediatric concussion clinic with sports related concussion. A total of 246 patients were included and were assessed for neck pain, headache, dizziness, and abnormal cervical spine exam findings. Out of the 246 patients with concussion, 80 met the criteria for a neck injury. 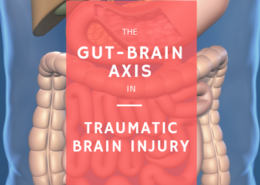 When reviewing the data, the authors found that patients with a neck injury took an average of 28.5 days to make a clinical recovery compared to 17 days for the patients who only showed physiologic brain injury alone. 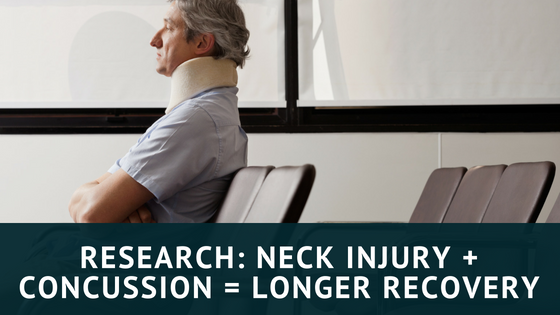 Patients with neck injury were also almost 4 times more likely to experience delayed recovery (longer than 4 weeks) from their symptoms. So you might be saying….well…maybe some of these neck injuries were really serious ones. Like the ones you might see where people have to wear a neck brace and get carted off the field. Obviously people with severe neck and spinal cord injuries can drastically skew the number of days it takes for people to recover and some may not recover at all. The authors actually accounted for these types of injuries. One patient had a compression fracture and 5 patients had spinal cord injury or cord neuropraxia. All of these patients were taken out of the data analysis. So that leaves us with patients with a neck injury, but an injury that compromises the spinal cord. 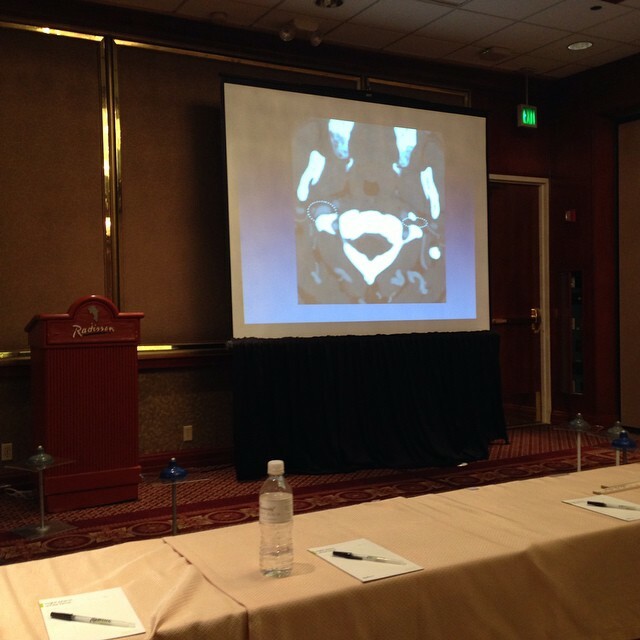 The role of the neck has become a growing area of research in the field of head trauma. One study looking at the relationship between neck strength and risk for concussion showed that for every pound of increase in neck strength, there was a 5% reduction in risk of concussion. Another study shows a rehabilitation program that includes treating the neck in patients with post-concussion symptoms can accelerate a patients return to normal activity. The neck is a neurologically important and inherently mobile area that can be prone to injury. When it is injured, people with a combination of brain and neck injuries may have higher levels of sensitivity than patients with more routine neck pain. That means that people who suffer concussions and neck injuries may benefit from more precise and gentle care than approaches that take a more aggressive style of treatment. When patients suffer a concussion, the vast majority of patients will have symptoms for 10 days or less. 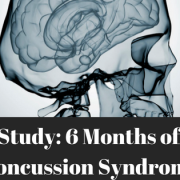 About 10-15% of concussed patients will develop persistent symptoms and be diagnosed with post-concussion syndrome. Thanks to an explosion in concussion research in the last 20 years, we know a lot more about these head injuries than we have in the past. 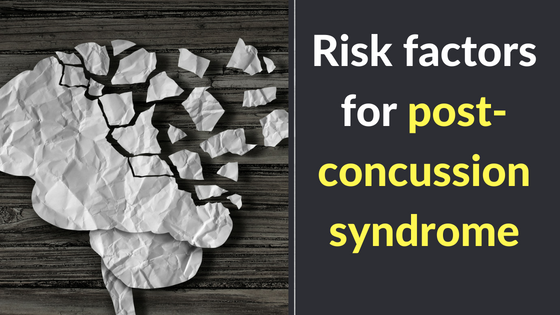 While we don’t know the exact physical reasons why some people are more likely to suffer from post-concussion syndrome, we do know some specific risk factors for people developing persistent symptoms. Having a history of migraine likely means that your nervous system will be more vulnerable to the headache and nausea experienced with concussion symptoms. It may also signal that you have a sensitivity in your neck to issues that may stimulate the headache process and can be worsened by head trauma. The first is that mental health seems to be a major player in the future expression of post-concussive symptoms like headache and dizziness. It shows us the power that mental health can have on physical health problems. There’s no association with the severity of the concussion or losing consciousness. While a more severe hit to the head or getting knocked out seem like they would predict worse recovery, the data suggests that it doesn’t play a significant role in the development of persistent symptoms. A lot of people get their physical symptoms treated for post concussion symptoms by a variety of providers, but a lot of people ignore their psychological and cognitive treatments. Having someone that can help manage their anxiety appropriately and use cognitive behavioral interventions can help many patients benefit from their physical symptoms. It’s easy to think about health in terms of physical ailments, but your overall well being is dependent on physical, mental, and emotional health. There’s a reason why people with depression and anxiety have worse outcomes for every physical ailment that exists. If you have a poor mental and emotional outlook, your brain simply doesn’t mobilize it’s repairing and recuperative resources as effectively. 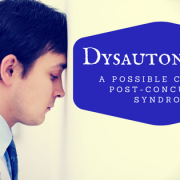 In the world of concussion we often talk about getting the right care for concussions linking it to cervical spine problems, vestibular problems, or brain problems. What we sometimes forget is that some of our susceptibility to illness is related to our belief in the fragility or resilience of our bodies. Let’s restore faith in the strength of our bodies and make ourselves more robust healing machines. The vast majority of people who suffer concussive injuries will recover without any chronic symptoms. However, about 15% of people who suffer concussions will go on to have post-concussion syndrome, where they will experience headaches, dizziness, and cognitive problems beyond 30 days after an injury. These symptoms can be debilitating, and some people can experience the effects of these head injuries for years later. A lot of research has been done to identify people who are at higher risk of developing post-concussion syndrome. The most significant risk factor for this is having multiple concussions, but that’s a rather obvious one. 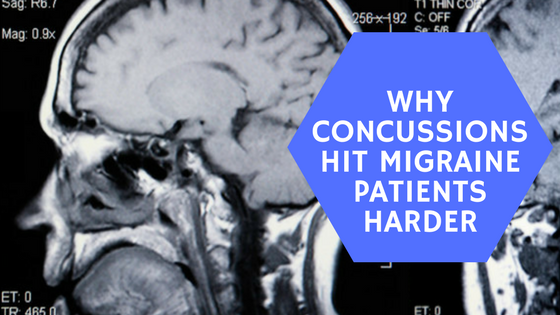 The more concussions you’re exposed to, the greater the opportunity to have chronic symptoms. 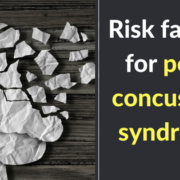 However, research has pointed to one specific risk factor that seems to contribute heavily to post-concussion syndrome in the athletic population. That risk factor? A history of migraine headaches. 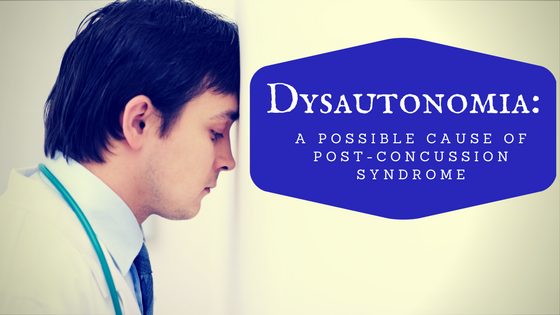 Post-traumatic headache is one of the hallmark symptoms of post-concussion syndrome. These headaches look a lot like migraines because of the wide range of neurological symptoms that concussions can cause. If you know someone with migraines is at a higher risk for post-concussion symptoms we can be better prepared to see appropriate specialists in the event of a concussion. We have a better understanding for why sports like girls’ soccer are more susceptible to concussive injuries and can be more prone to chronic post-concussion syndrome. 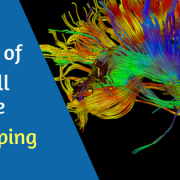 Because understanding the common physiology in migraines and concussion can help us identify effective treatments for one of its most debilitating symptoms. Treatment for headache symptoms in migraine and post-concussion syndrome are pretty similar. Amitriptyline, propanolol, and topirimate. These medications target receptors in the brain that can become overactive and underactive during a migraine attack. 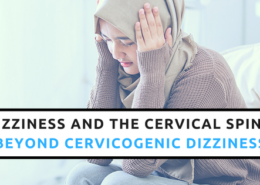 Most research is focused on finding effective drugs to treat headaches, but this treatment philosophy ignores the fact that the headaches from a migraine or concussion can often stem from dysfunction of the cervical spine. Is This Small Neck Muscle Driving You Mad? When someone has a biomechanical issue in their neck, then a major blow to the head like a concussion can make these neck problems worse. Several studies are starting to show that there are some interesting similarities with what happens in a whiplash and what happens in a concussion. The fact is that the amount of force that it takes to cause a concussion FAR exceeds the amount of force it takes to create a mild whiplash injury. Obviously not every force over 5 g’s causes a whiplash and not every force over 100 g’s causes a concussion. Otherwise we’d all be walking around with with severe neck injuries every time we got off a roller coaster. There are factors involved like neck strength, timing of muscle bracing, and previous injuries that affect our susceptibility to these forces. My point is that if you have sustained a concussion, then the probability of you also suffering an injury to the neck is really really high. 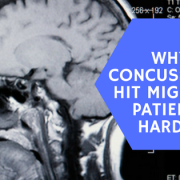 If you were a migraine patient before the concussion and the migraine was stemming from your neck, then the odds of that neck injury becoming worse and making the healing process after a concussion is much higher for you than most others. If you had a small biomechanical issue in your neck that was contributing to your migraine headache symptoms, then the force of a concussion is going to injure the ligaments and muscles that were already compromised! 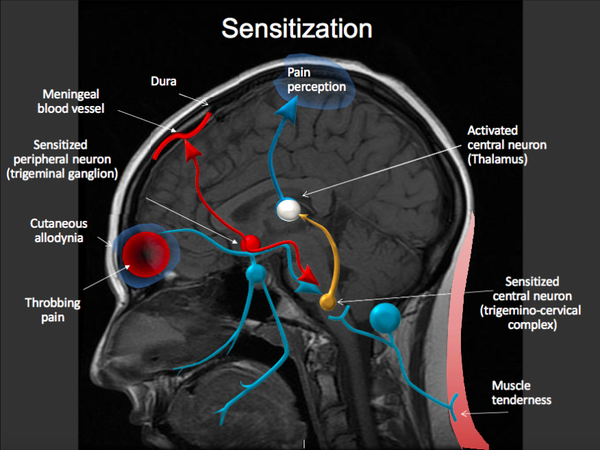 This is addition to the way that concussions knock out your vestibular and ocular systems which are also known contributors to headache physiology. 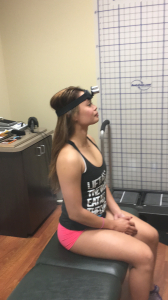 If you are an athlete and have a migraine headache problem, you should get your neck checked and rule out any biomechanical problems in the upper cervical spine. Fixing these issues will likely address your migraines, and may provide some protection from head contact.This is even more true for female athletes than male athletes. Women suffer from migraine headache issues at a much higher rate than men, and this can be a contributing factor to the increased rates of concussion we see in girls’ soccer. If you play contact sports, getting your neck stronger may provide protection from concussive injury. Again, this applies even more so to female athletes because women will tend to have smaller neck muscles than men. Weight training and specific neck exercises is a safe and easy way to possibly mitigate this risk. 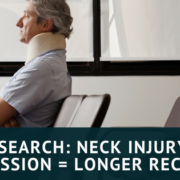 If you have a history of neck injury from whiplash and concussion, make sure you’re seeing someone with expertise in addressing the cervical spine. People with traumatic neck injuries may not respond well with vigorous treatment methods and may regress with too much force applied to injured tissue. 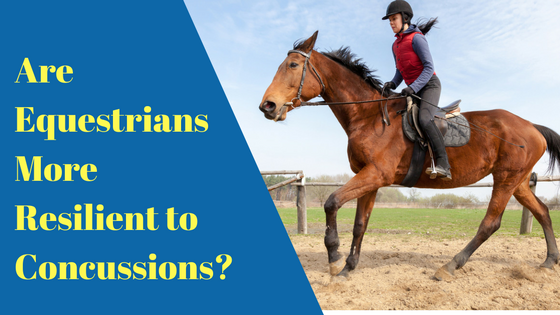 Are Equestrians More Resilient to Concussive Injury Than Everyone Else? Concussions are a hot topic in professional football, but it’s something that horse lovers have been familiar with for years. A 2014 paper in published in the Sports Health medical journal showed that almost 50% of competitive riders will have experienced a concussion during their life while riding. Surveys have also shown that helmet usage amongst equestrians is extremely low with estimates ranging from 9%-25% of riders opting to ride without head protection. The sudden deaths of high profile professional football players have made the complications of head trauma a hot button topic in sports and medicine. Concussions are considered a mild traumatic brain injury, but the truth is that a brain injury of any sort is anything BUT mild. There are risks to all sports, and as an athlete you have come to accept those risks as part of the game. Additionally, if you have been involved with riding for a while, it’s easy to accept head injuries as an inevitable part of the sport, and the truth is that most people will recover in a week or two. It’s a common thread with sports doctors to say that sports like riding are too risky for the developing brain. The truth is that concussions shouldn’t be something that scares you from playing your sport. Getting into sports like riding are the most effective ways for people to stay active and fit throughout your life. If you get an injury, make it an injury of performance. Take the right steps to prevent injuries of negligence or careless behavior like not wearing a helmet. Know what to do after a head injury so that you can ensure maximum brain health and recovery. When talking about the long-term health consequences of head injury, it’s best NOT to get your stance from places like Will Smith’s recent film, Concussion. The brain illnesses discussed in that movie are pretty rare, and apply to very specific types of athletes. However, that doesn’t mean that concussion is free of long-term consequences. Studies of athletes with a history of concussion have shown slightly slower cognition and reaction time 30 years later, even if there are no symptoms of head injury. Studies of previous football players have shown that athletes with a history of concussion are more likely to have back and leg injuries after retirement because of the way concussions affect control of your own joints. Here’s where getting the right treatment after concussion can make all the difference in the world for an equestrian athlete. While most athletes aren’t overly concerned about something abstract like brain health, athletes are VERY interested in anything that can affect their performance on the field or rink. While equestrians are at a higher risk of head injury than most sports, the unique features of equestrian sports may help confer protection from some of the chronic problems associated with concussion. From a neuroscience perspective, horseback riding requires a tremendous amount of work from the parts of your brain that control balance. 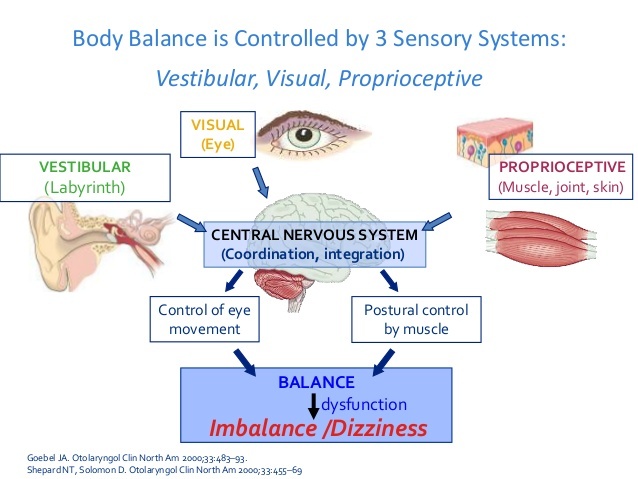 Your sense of balance is made up of a delicate interplay between your inner ear (vestibular system), eyes (ocular), and joints (proprioception). Your brain takes information from these 3 systems and paints the image in your mind of where you are in space. When you ride a horse, your body is constantly bobbing in a way that far exceeds the normal force of walking. Your brain has a magnificent system in place to help keep your vision in focus even though your head is moving all over the place. If this system gets corrupted, then really simple movement makes us feel off balance or dizzy. In other cases, this system also affects our emotional control and cause headaches. The brain, like any other part of the body gets stronger and adapts the more that you use it and challenge it. 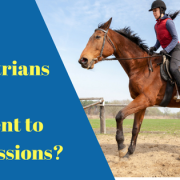 Between simple riding, jumping, and dressage, equestrian athletes have to challenge their vestibular system more than almost all people, including many athletes. That means that many equestrians are likely to have a stronger sense of balance than most people, and research is actually starting to demonstrate that1. The effects that horseback riding has on balance or so strong that they are even being suggested for the treatment of balance problems in the elderly2 and in stroke patients3. So why is that important for a concussion? Most people associate concussion with your ability to think, but concussions actually have the strongest and most immediate impact on this balance system. When people suffer with concussions, you’ll often see that their ability to stand still and walk is affected even if they don’t have any cognitive symptoms at all. The brain hates when the balance system is broken. Overtime, as balance issues fail to get fixed, it spills over into problems leading to vision disturbances, headaches, and brain fog. One of the things that I notice in my experience with equestrian patients is that many won’t show signs of head injury in their normal daily activities, due to their strong sense of balance. When your body feels like it has a good sense of balance, some of the cognitive and pain symptoms from a concussion don’t impact you quite as badly. This is a great thing in that a head injury won’t cause an obvious deficiency in your quality of life. However, many times this is due to a compensation strategy by the brain. When you suffer a concussion, the parts of the brain that control the eyes, cognition, balance, and movement become compromised. 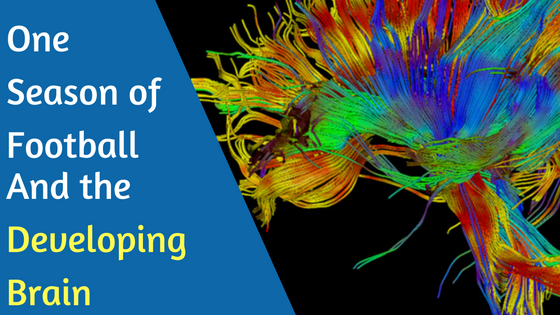 When the brain suffers damage to one area, then other areas of the brain will start to work harder to perform the duties of the damaged region. 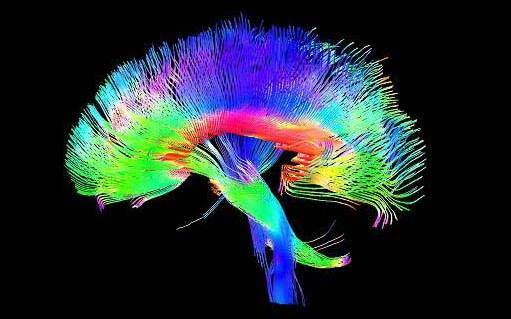 This is driven by a concept called neuroplasticity. This is what allows blind people to have a heightened sense of hearing, or deaf people to have a more focused visual sense. As a rider, a concussion may damage the regions of the brain that control neck and eye movements, which can be detrimental to your balance. 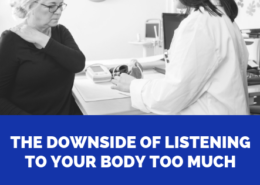 However, your balance system from the inner ear is so strong that it can take over the task of keeping you upright without much of a hitch. 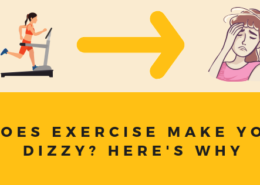 Even though you feel good and your balance seems strong, there’s only so long that the brain can manage these compensation strategies before it starts to fail. So now we’re going to bring it all back together. When you suffer a concussion and parts of this comprehensive balance system breaks, many equestrians are fortunate enough to bounce back without prolonged symptomatic consequences because of a well-trained balance system in the brain. The problem is that our brain is designed to work with contributions from all of our sensory systems. If we partially lose a system like proprioception from the joints and the inner ear system works overtime, then we will gradually lose more and more function from the joint position system. It won’t affect us immediately, but it may start to show up as back pain and knee injuries later on in life. If we lose some of our visual sense, then things like double vision or blurry vision can become long-term consequences. You can even perform simple tests to see if some of your balance systems are not working well. Something as simple as standing with your eyes closed vs standing with your eyes open helps to see if your inner ear and joint position sense are working. If you start having difficulty concentrating while reading, your ocular system may be compromised. The good news is that the same plasticity that helps us compensate is what allows us to develop strategies to rehabilitate the brain when we know which system is compromised. A thorough structura and neurological exam can help ensure that your brain does not just survive after a concussion, but to get it back to thriving again. Kang K. Effects of horseback riding simulator exercise on postural balance of chronic stroke patients. Journal of Phhysical Therapy Science. 2013 Sep; 25(9): 1169-1172. 2016 continues to be a troublesome year for football as science reveals more information about the effects of repetitive head contact on the brain. It’s pretty well established that concussions can create lasting changes in the structure of the brain, in recent years scientists have sought to study if contact sports can change the brain even without concussion. Both of these studies had a similar design, but they were performed on different age groups. One was performed on players between the ages of 8-13, the other was performed on high school players. Players were given special helmets to quantify how much head impact they were receiving in practices and in games. The players were also scanned with a special form of MRI called diffusion tensor imaging (DTI) before the season and after the season to see if there were any changes in the structure of the brain after the season. DTI helps to measure structural damage to the brain by helping doctors look at a part of a neuron called an axon. Axons are like power lines of a nerve cell. Whenever a neuron fires, it transmits an electrical signal down these wires so that it can pass the message along to the next neuron in the chain. DTI measures the continuous movement of water through these “wires”. 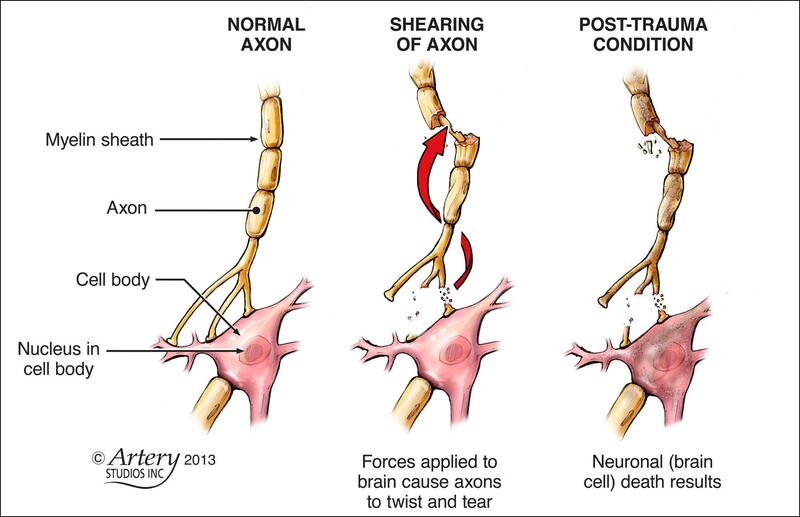 One of the things that has been well established is that concussions can damage a lot of the axons in the brain through a process called axonal shearing. It’s basically like a hurricane coming in and knocking down your town’s power lines. So we know that concussions definitely cause axonal injury, but what about all those hits to the head that happen without a concussion? Could they also damage these axons? According to these 2 recent studies, a year of youth or high school football can make observable changes in the structure of the brain. The studies also showed that the players who had impacts that were more frequent or more forceful correlated with greater signs of damage. 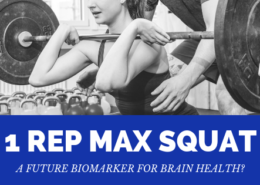 In high school athletes, the researchers also measured functional changes in the brain and showed that players with greater or more frequent impact showed decreased delta wave activity which is a characteristic sign of brain injury. So before we draw any conclusions, let’s talk about 2 things. While we know that these DTI findings are related to concussion and head impact diagnosis, we have no idea if this means anything for the health and quality of life of the patient in the future. Findings on DTI are NOT predictive of how impaired a patient is, nor does it predict if a patient will have future brain damage or post concussion syndrome. In fact, findings on DTI don’t predict all that much at this point in time. Most people who suffer head impact and concussions will go on to live normal healthy lives. Now it’s up to science to figure out how much can someone’s brain take, and how do we take care of these people who are at risk for future brain disease. After being discharged from the hospital the patient was seen by an orthopedist and chiropractor. While chiropractic adjustments were helpful, she felt her symptoms come back repeatedly within hours of her treatment. 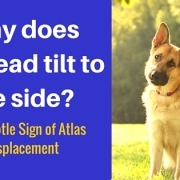 The patient had an appointment with her orthopedist to receive neck injections, but was referred to our office before that to see if correcting her atlas would help. You can see some images of our head control laser testing below. 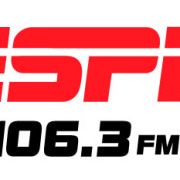 Dr. Chung was featured on ESPN West Palm Tonight to talk about Tony Romo’s broken back and the Palm Beach Concussion Seminar. Check out the interview here. 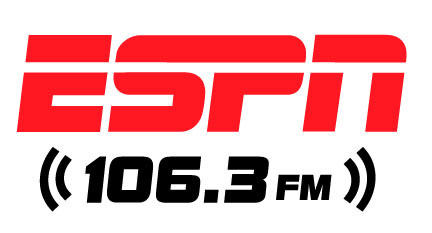 For the best coverage of the Palm Beach County sports scene, check out espnwestpalm.com. Why Does My Head Always Tilt to the Side? How do I know if someone has an Atlas problem? Can a regular person see it? 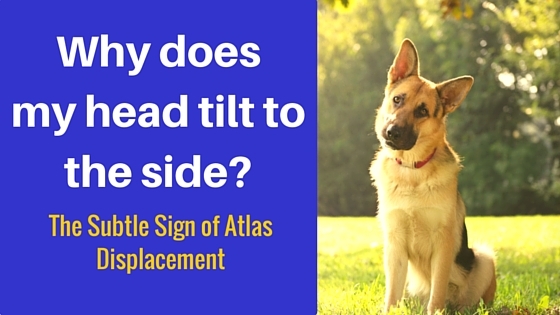 Head tilting posture is something we’re used to seeing with curious puppies, but it may be a sign of a problem in the central nervous system. This can be one of the most important signs of poor neurological activity even in the absence of pain or symptoms. Poor head positioning is one of the most important postural findings I look for in a Structural Chiropractic Examination. From a clinical perspective, it’s a lot more important than something like slouching. For the most part, people have the ability to recognize and correct a slouching posture when they want to. When it comes to a persistent head tilt, most people have no idea when it’s happening. It’s also a posture that is related to things like head injury, whiplash, or a balance problem. When you have a persistent head tilt, you typically don’t know that your head is tilting because in your mind, it’s perfectly straight. This is an underlying indicator that your brain is working inefficienctly. When you really think about it, posture is primarily your brain’s response to gravity. Whatever your body experesses as a straight posture is how your brain thinks it needs to exist in a gravitational environment. That means that a crooked head position means that the brain is getting bad input, which is leading to poor output. All common problems experienced after a concussion or whiplash injury. So what does head tilt have to do with concussion, whiplash, and all of these Secondary Conditions? When your head and neck is exposed to a force, it can affect one of 3 systems in the body that control and regulate your balance and posture. Together these 3 systems integrate into your brain so that your brain knows how to regulate your body in space. Your vision and movement of your eyes make sure that your head stays level. Your ears tell your brain if your head is moving. Your joints provide information on if your limbs or your spine are moving. This system works best when all 3 give the same information. If your eyes and muscles say one thing, but your ears say another, then it creates a problem for the brain to process. When you take a blow to the head or neck, then these structures can become damaged and start to malfunction. We can see this malfunction manifest as a persistent head tilt to the side. 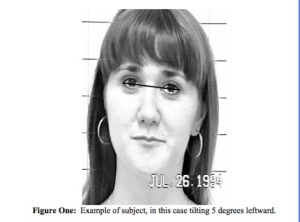 Head tilt may not be the cause of these problems, but it is a clear and obvious sign of a breakdown in this system. 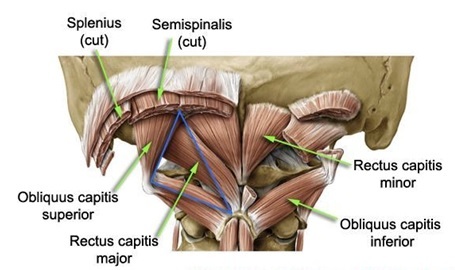 It’s easy to see how a blow to the head can affect the neck because the two structures are connected via the top bone in your neck called the Atlas. In our Wellington office, we handle this problem by re-centering the head on top of the neck again utilizing the NUCCA procedure. When the head is centered, then it’s almost like a re-boot to the system to make the brain work normally again. Notice that not all head tilts cause pain, but head tilt is almost always a sign of a problem in the brain. Lots of people can go through a bad car wreck and not feel any pain immediately. 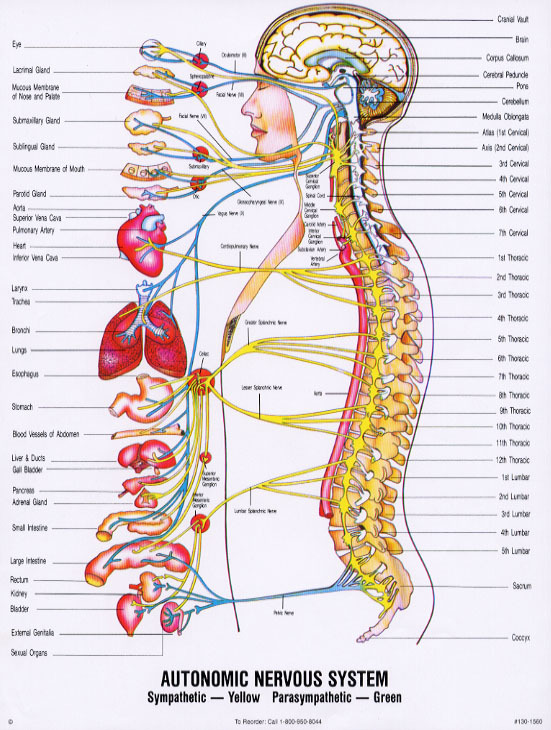 However, the structure of their spine and the function of the brain has changed. 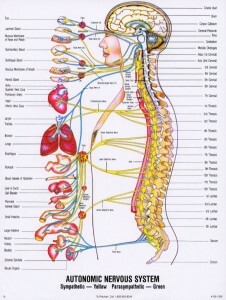 This means that a problem can develop over time due to chronic malfunction of the nervous system. That’s why everyone should get checked for a Atlas Displacement after an injury even if there’s no pain or symptoms present. Not every head tilt is related to a problem in the neck, though there is almost always at least some contribution from the neck. As we discussed earlier, there are 3 main systems that dictate your sense of balance. There are times when I have done my best effort in correcting someone’s neck that a head tilt persists. 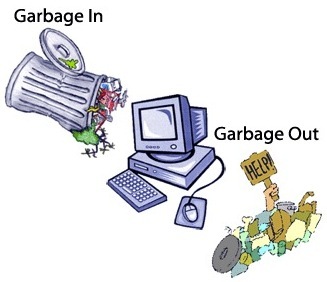 That’s why it’s important to work with a team of professionals that are capable of addressing this problem. Optometrists/Vision Therapy/Neuro-opthamology – These professionals are trained in addressing the ocular system. It’s a rapidly growing field thanks to our growing knowledge of concussion and how it affects the eyes. Vestibular Therapist / Functional Neurologist – Special types of chiropractors and physical therapists are trained at rehabilitating problems in the inner ear. 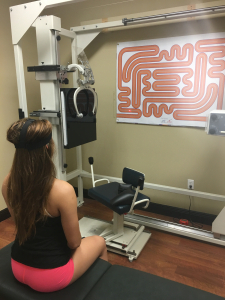 They use special assessments and exercises to restore normal function of the inner ear. Remember: No one therapy cures all. An interdisciplinary approach is often the best way to solve many of these complex cases.